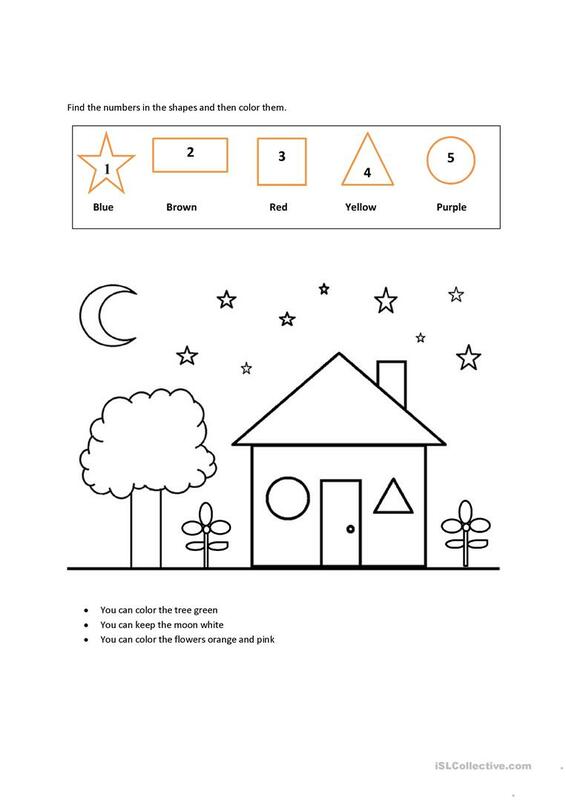 by doing this worksheet, students can learn and practice colors,numbers and shapes. The present printable, downloadable handout is best suited for elementary school students and kindergartners and nursery school students at Beginner (pre-A1) and Elementary (A1) level. It is a valuable material for enhancing your groups' Speaking and Reading skills. It is focused on the topic and words of Shapes.